What's Going On Between Kanye West and Kid Cudi? The former G.O.O.D. music artist went off on Twitter with a series of shady tweets. After a quiet, beef-free few months, Kanye West is making headlines again with a new rap feud. His opponent? Former G.O.O.D. music artist and frequent collaborator, Kid Cudi. On Wednesday, Cudi went off on Twitter, tweeting a series of vitriolic messages alleging your run-of-the-mill rap beef fodder: basically, fugazi-ness, ego and haters. He went on to declare that “the days of f*ckery are over,” and “The fake ones wont be lasting too much longer” before calling out both ‘Ye and strangely, Drake, by name. 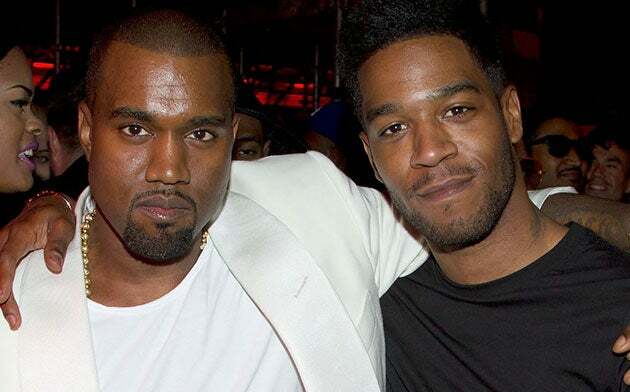 Fans of Kanye’s “Waves” from TLOP might be surprised by this new beef, but the water has been murky between the two at least since 2013, when Cudi left G.O.O.D. for undisclosed reasons. Since then, the two have collaborated on “Father Stretch My Hands Pt. 1” and “Waves” on Kanye’s last album. Also, in typical Drake fashion, the Toronto rapper responded with trademark funny shade. We’re not completely sure what’s going on, but ‘Ye and Drake have teased that a joint album is in the works and Cudi also has an album on the way, so who knows. Stay tuned!